Video is a powerful medium for promotional activities of businesses. As a marketer, you might have created several videos for the promotional activities of your business. Though such videos are of good quality you may not get enough viewers for it. What will be the reason for this? 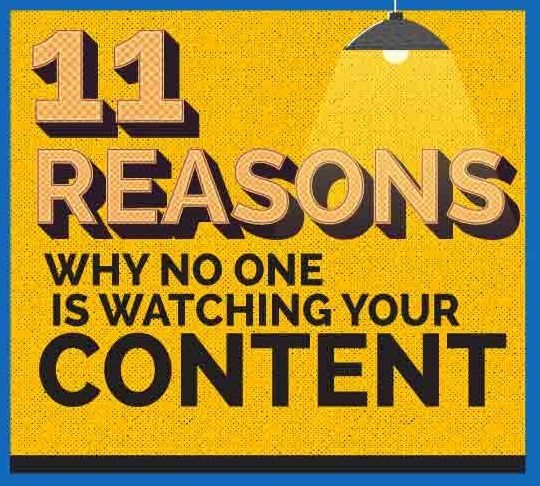 There may be many reasons for less viewership of your videos. The problem may be with your video content strategy. Jointviews created a list of reasons that keep the viewers skip your video. There are also suggestions listed here in the form an infographic to get you more viewers for your marketing videos.